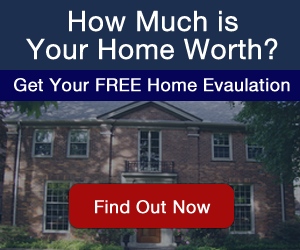 Full-time professional Realtor for over 30 years specializing in the sale of fine Grosse Pointe homes and estates. Married to Liz for 33 years with two grown children. Consistently a Top Producer in Grosse Pointe, Tom has been recognized by Hour Magazine as being in the top 5% in Real Estate Sales in the Metro Detroit area. Served with distinction as a Board Member of the Grosse Pointe Board of Realtors. Committed to Professionalism, Honesty and providing a high level of Service to all Clients. I want to take a moment to thank you for your hard work ethic and dedication to the Real Estate profession. You are a shining example of how home buyers want to be treated. Your attention to detail and honest approach to the business is refreshing and I sincerely hope I have the opportunity to return the favor. Bottom line, if you are looking to purchase or sell a home in Grosse Pointe, you want Tom Griffith in your corner. Tom was amazing to work with, always available to help and answered all of the questions I had. Tom was amazing to work with and above and beyond my expectations. We told Tom what we I was looking for and found it – Yeah!! Thanks Tom…We love our new home. – John and Mindy W.
Tom was referred to us by a friend. I was in charge of settling my uncle’s estate and Tom was extremely helpful in preparing the home for sale. He had some great ideas that I now know made all the difference. – Mark and Denise L.